Nothing compares to the elegance of experienced players on the football field! What better way to celebrate that but with an elegant award in solid resin statue crafted to resemble antiqued silver. Depicting a male football running back with ball in hand, this award is the perfect for the most amazing football veterans! 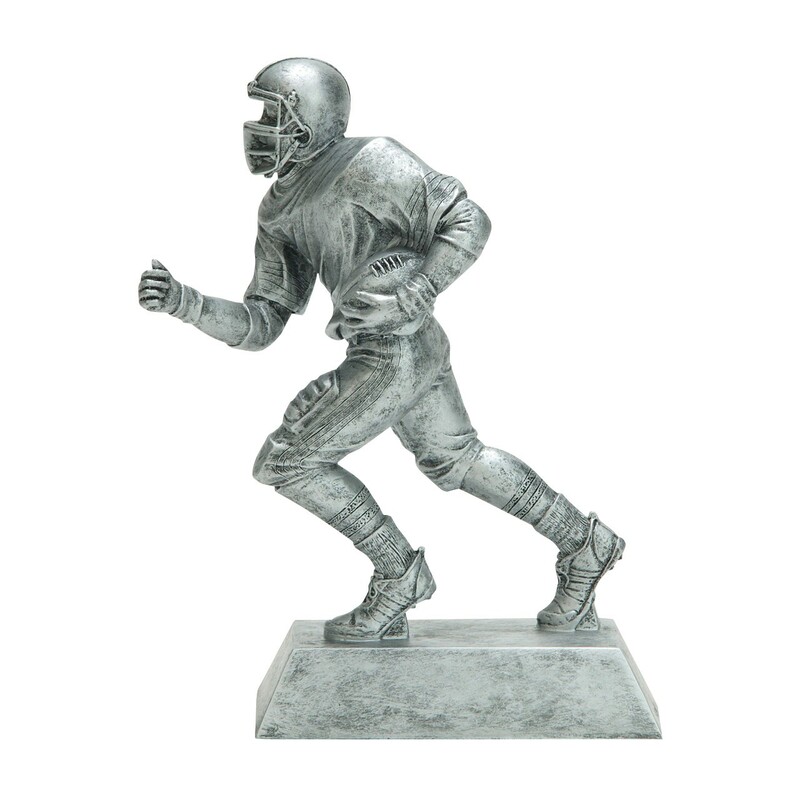 Give them the Silver Running back Football Resin Trophy today!